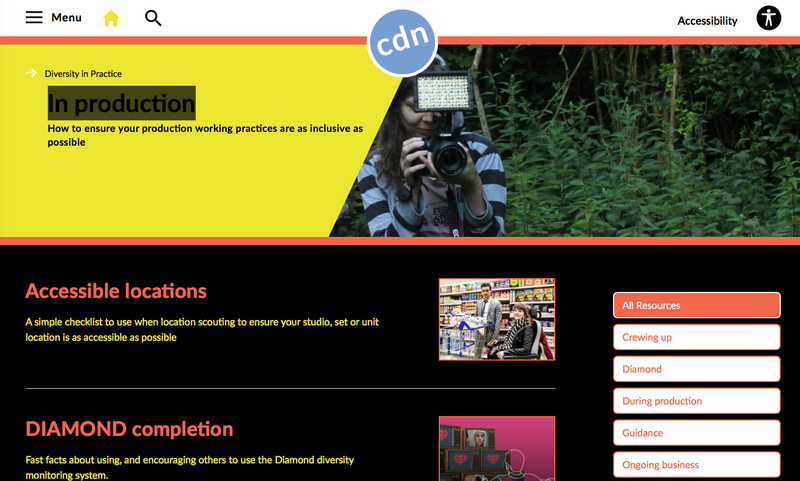 This site is about the Creative Diversity Network. An independent body set up by the television industry to ensure standards in diversity across the industry. You can?change the way this site looks by clicking ‘Accessibility’ in the top right of the screen. Here you can change the text size and the contrast of the colours. All recent versions of Microsoft Windows include magnification software. This allows you to greatly increase text size, although this will be restricted to only a small proportion of the screen. To use Windows magnifier, click on ‘Start’ then select ‘Programmes’ followed by ‘Accessories’ and ‘Magnifier.’ You can then select the amount of magnification you want from the dialog box that will appear on screen. You can increase the size of the mouse pointer on your screen. In Microsoft Windows you do this by clicking on ‘Start’ then selecting ‘Control Panel’ followed by ‘Hardware and Sound’ and ‘Devices and Printers.’ You can then click on ‘Mouse’ followed by ‘Mouse Pointer Options’ and select any changes you want. For Mac users, click on ‘System Preferences’ and select ‘Universal Access’ followed by ‘Mouse & Track pad.’ You can then make the mouse pointer bigger by sliding the Cursor Size bar.